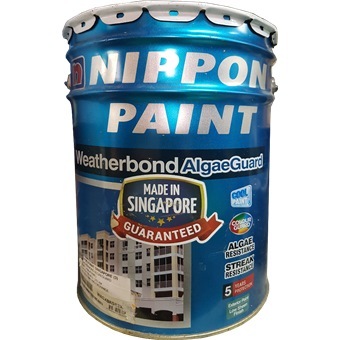 NIPPON PAINT WEATHERBOND ALGAE GUARD 20L [1194 COLOURS] is rated 4.0 out of 5 by 1. 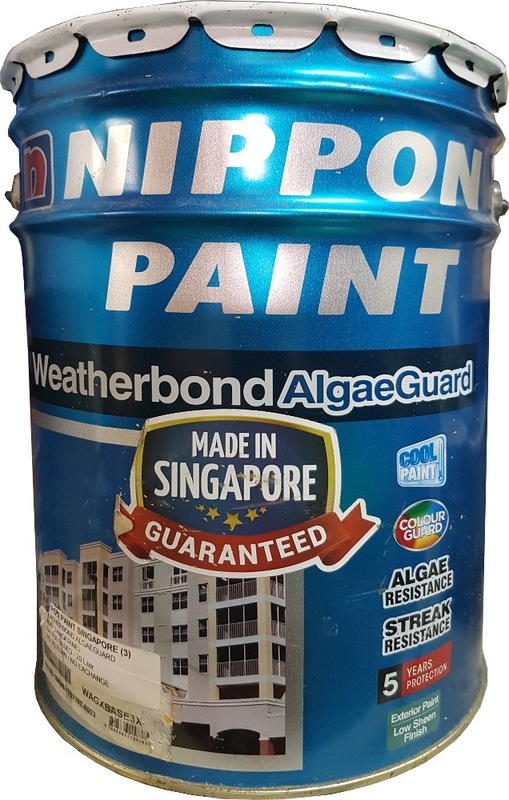 Weatherbond AlgaeGuard combines the benefits of Nippon Paint’s best selling exterior paint, Weatherbond, with an enhanced resistance to fungal and algal growth, and superior anti-streak marks properties. This new generation paint boasts all the benefits of its predecessor, including excellent adhesion, long-lasting fade-resistant colours, and extreme durability fit to withstand harsh weather conditions. Rated 4 out of 5 by JZJZ from Good Quality Paint Using white paint for the wet area, till now holding up well without stain. Do take note that it is glossy.